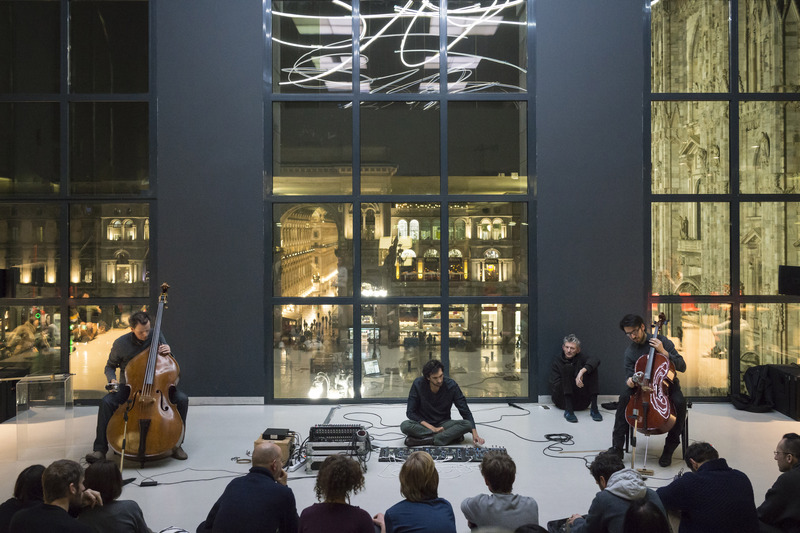 Drawing inspiration from their collaboration on The Reverse Collection at Tate Modern in London, Tarek Atoui and Andrea Lissoni will talk about projects that lie at the intersection of music, visual and performing arts. 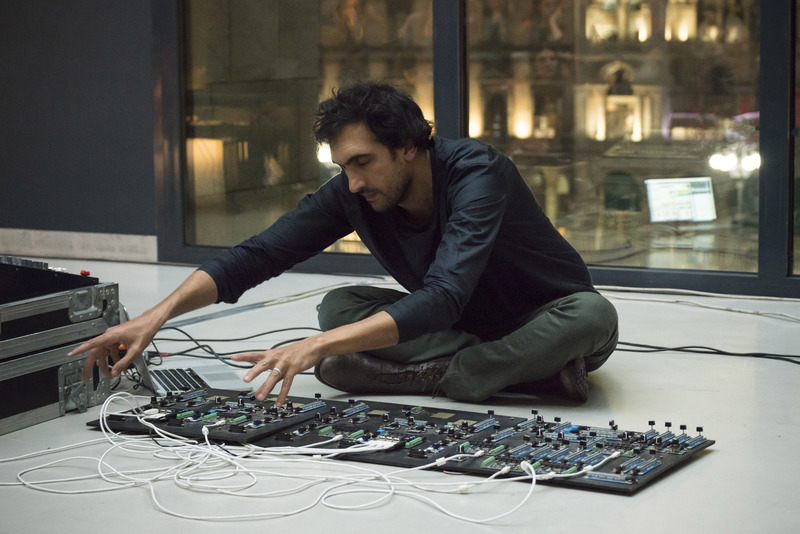 The conversation will be accompanied with live interventions by Tarek Atoui, performed with musicians Francesco Dillon (cello) and Daniele Roccato (double bass), who will also play instruments that Atoui conceived for The Reverse Collection. Tarek Atoui (b. 1980 in Lebanon, based in Paris) is an artist and composer whose work develops out of in-depth research into musical tradition and history. 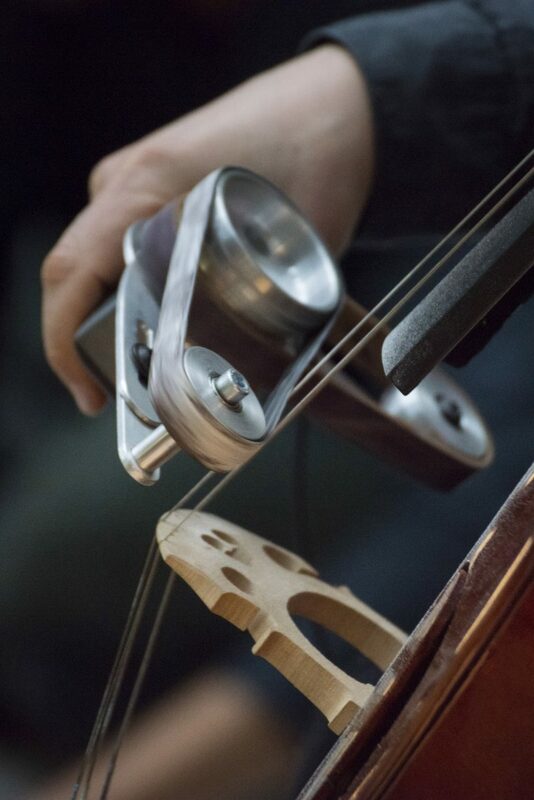 At the heart of his practice is an ongoing exploration of instruments and the act of performing; he designs complex instruments and organizes events, concerts, and workshops. His performances, which are often collaborative and improvisational, explore new approaches to producing music, challenging and expanding the ways in which sound is used and heard. Atoui has presented his work at international art institutions and events such as the Sharjah Biennial (2009 and 2013); the New Museum of Contemporary Art in New York (2010); Performa 11 in New York (2011); DOCUMENTA 13 (2012); the Serpentine Gallery in London (2012); the Berlin Biennale (2014); Tate Modern in London (2016). Andrea Lissoni (b. 1970 in Milan, based in London), PhD, has been Senior Curator, International Art (Film) at Tate Modern in London since 2014. He is the co-founder of the curatorial network xing, and in 2012, co-founded Vdrome, an online cinema presenting artists’ films and videos, with bimonthly programming that he co-curates. From 2011 to 2015 he was Curator at PirelliHangarBicocca where he curated, among other exhibitions, solo shows by Joan Jonas, Apichatpong Weerasethakul, Mike Kelley, Céline Condorelli, Micol Assael, and Philippe Parreno. His most recent exhibitions at Tate Modern were Anywhen, by Philippe Parreno, and The BMW Live Exhibition. In 2016, as part of the display concept for Tate Modern’s new Blavatnik Building, he commissioned Tarek Atoui to create The Reverse Collection. Francesco Dillon (b. 1973 in Turin), cellist, founder of the Quartetto Prometeo (Leone d’Argento at the Venice Biennale in 2012) and a permanent member of the Alter Ego ensemble, which is regularly invited to perform at leading contemporary music festivals around the world. His deep and longstanding interest in contemporary culture has led him to forge ongoing collaborations with some of the greatest composers of our time. He has recorded with the SONY, ECM, Kairos, Ricordi, Stradivarius, Die Schachtel, Mode, and Touch labels. His performances have been presented by prestigious broadcasters such as the BBC, RAI, ARD, Radio France, ORF, ABC Australia, and WDR. His most recent and noteworthy appearances include performances as a soloist with the Philharmonic Orchestra of La Scala, the RAI National Symphony Orchestra, and with the orchestra of the Maggio Musicale Fiorentino. Daniele Roccato (b. 1969 in Adria), a double bass soloist and composer, has performed in many of the world’s most prestigious festivals and concert halls, often presenting his own compositions. Along with Stefano Scodanibbio, he co-founded Ludus Gravis, a double bass ensemble in which he is director and soloist. With writer, playwright, and actor Vitaliano Trevisan, he has worked for the theater as a composer and performer. He has written many pieces for dancer and choreographer Virgilio Sieni. Through projects with Lucio Dalla and Roberto Vecchioni, he has brought the double bass into the realm of pop music. 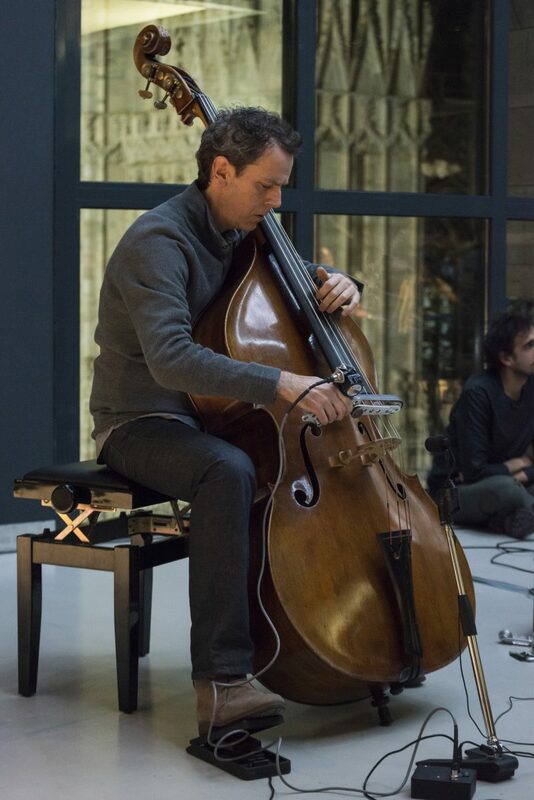 He is a professor of double bass at the Santa Cecilia Conservatory in Rome, and a number of his concerts have been broadcast by RAI RadioTre and Sky Arte.